The Rockford Files is an American television drama series starring James Garner that aired on the NBC network between September 13, 1974, and January 10, 1980, and has remained in syndication to the present day. Garner portrays Los Angeles–based private investigator Jim Rockford, with Noah Beery Jr. in the supporting role of his father, a retired truck driver nicknamed "Rocky". The show was created by Roy Huggins and Stephen J. Cannell. Huggins created the television show Maverick (1957–1962), which starred Garner, and he wanted to recapture that magic in a "modern day" detective setting. He teamed with Cannell, who had written for Jack Webb productions such as Adam-12 and Chase (1973–1974, NBC), to create The Rockford Files. The show was credited as "A Public Arts/Roy Huggins Production" along with Cherokee Productions in association with Universal Television. Cherokee was owned by Garner, with partners Meta Rosenberg and Juanita Bartlett, who doubled as story editor during most of The Rockford Files run. In 2002, The Rockford Files was ranked No. 39 on TV Guide's 50 Greatest TV Shows of All Time. Producers Roy Huggins and Stephen J. Cannell devised the Rockford character as a rather significant departure from typical television detectives of the time, essentially Bret Maverick as a modern detective. Rockford had served time in California's San Quentin Prison in the 1960s due to a wrongful conviction. After five years, he was pardoned. His infrequent jobs as a private investigator barely allow him to maintain his dilapidated mobile home (which doubles as his office) in a parking lot on a Malibu, California beach. In early episodes of the first season, Rockford's trailer is located in a parking lot alongside the highway at 2354 Beach Boulevard (Pacific Coast Highway), Malibu and near the ocean; for the rest of the series, the trailer is at Paradise Cove (address 29 Cove Road), adjacent to a pier and a restaurant ("The Sand Castle", now known as the "Paradise Cove Beach Cafe"). In the television movies from 1994–99, Rockford is living in a trailer that has been extensively enlarged and remodeled. In contrast to most television private eyes, Rockford wears low-budget "off the rack" clothing and does his best to avoid fights—although he will engage in fistfights when there's absolutely no other option. He rarely carries his Colt Detective Special revolver, for which he has no permit, preferring to talk his way out of trouble. He works on cold cases, missing persons investigations, and low-budget insurance scams, and repeatedly states that he does not handle "open cases" to avoid trouble with the police. (This self-imposed rule of Rockford's was relaxed in later seasons.) He has been a P.I. since 1968, and his usual fee is $200 per day plus expenses ($200 at the series' beginning in September 1974 was the inflation-adjusted equivalent of $986 by March 2018). Joe Santos as Sergeant Dennis Becker, Jim's friend on the Los Angeles Police Department; he was promoted to lieutenant in season 5. Stuart Margolin as Evelyn "Angel" Martin, Jim's former prison friend. Angel is an untrustworthy, pathologically lying con artist whose schemes constantly get Jim in trouble, yet Jim remains his friend. Gretchen Corbett as Elizabeth "Beth" Davenport, Jim's lawyer and sometime girlfriend (seasons 1–4). James Luisi as Lieutenant Douglas J. "Doug" Chapman (seasons 3–6), Becker's superior officer (until Becker's promotion). He and Jim despise each other. Tom Atkins as Lieutenant Alex/Thomas Diehl, Becker's superior officer (seasons 1–2 and 4) who also has an antagonistic relationship with Rockford. Isaac Hayes as Gandolph "Gandy" Fitch, a brutal, violent acquaintance of Rockford from his prison days. He almost always calls Jim "Rockfish". Jim helps prove Fitch didn't commit the crime for which he was imprisoned. The two become friendly. In later episodes Fitch tags along with an unscrupulous investigator Marcus Hayes (Louis Gossett, Jr.) trying to cash in on one of Rockford's cases; and needs Jim's help dealing with mobsters connected to the ex-husband of his new girlfriend (played by Dionne Warwick). Jim remains on good terms with Fitch, towards whom he seems to display an almost naive blind spot despite Fitch's refusal to ever take Jim's "no" for an answer, and his lack of compunction about using violence, including occasionally on a recalcitrant Jim himself. Bo Hopkins as John "Coop" Cooper, Jim's disbarred attorney friend (Season 5). Tom Selleck as Lance White, a successful private investigator with an uncynical approach to the business. Liked and admired by everyone but Jim, who considers him naive and lucky and likely to cause others to get hurt. Dennis Dugan as Richie Brockelman, a young, idealistic and seemingly naive private investigator who seeks Jim's help from time to time. Bereft of Jim's cynicism and physical toughness, Richie was nevertheless a sharp operator who used his outwardly trusting 'gee whiz' persona to mask his dogged cleverness. This character was spun off for the short-lived Richie Brockelman, Private Eye. Kathryn Harrold as Dr. Megan Dougherty, a blind psychiatrist who hires Jim. Their relationship eventually blossoms into a romance. Jim is upset in a later episode to learn that she has become engaged to another man. Simon Oakland as Vern St. Cloud, a blustery, arrogant, and often untrustworthy fellow private investigator. St. Cloud and Rockford grudgingly accept each other's assistance from time to time, trading insults along the way (Oakland appeared in a sixth season episode playing an unrelated character). Louis Gossett Jr. as Marcus Aurelius "Gabby" Hayes, an impeccably dressed, chauffeur-driven, boastful P.I. who is nearly always on a hustle, usually to Rockford's misfortune. Gossett appeared first in Foul on the First Play wearing a full wig with sideburns, appearing the following season in Just Another Polish Wedding without it. Rita Moreno as Rita Capkovic, a call girl and occasional police informant who is targeted by a millionaire businessman because of her friendship with an elderly widow. In later episodes she gets accused of the murder of a client; and when she tries to leave her profession and hides out with Rockford it enrages her sadistic former pimp. It is never made explicit if Jim and Rita are ever romantically involved, beyond their close friendship. James Whitmore, Jr. as Fred Beamer, an auto mechanic who aspires to be a Private Investigator, and involves himself in Jim's affairs. In his second appearance, Beamer assumed Jim's identity, living in his trailer, making numerous purchases on credit for detection equipment of questionable efficacy, driving (and heavily damaging) his Firebird, and taking on a client, plunging Jim into trouble. (Whitmore later directed the T.V. movie The Rockford Files: I Still Love L.A.). Al Stevenson as L.J., a friend of Rocky's, who often performs odd jobs for Rocky (in one episode, Jim discovers him alone at Rocky's house repairing a shower faucet). L.J. is closer to Jim's age than Rocky's, and it is likely they met during the latter's career as a trucker. Luis Delgado as Officer Todd Billings, seen frequently at crime scenes or at the precinct. Delgado played a number of other bit roles in early Rockford seasons before settling into the recurring minor role of Billings starting in season 3. Delgado was the brother-in-law of series co-creator Roy Huggins, and James Garner's long-time stand-in. Bucklind Beery as Officer Al Mazursky, another recurring bit-part officer very occasionally seen at the precinct during seasons 2-5. Bucklind Beery is the son of Noah Beery. Hunter von Leer (credited as Hunter Von Leer) as Skip Spence, a libidinous, money-seeking lifeguard stationed on the beach near Jim's trailer. Jim finds Skip distasteful, but Skip occasionally provides information helpful to him. In one episode Skip gives information to gangsters searching for Jim. Jack Garner (James Garner's real-life brother) was seen in numerous bit parts before assuming the role of the fence-sitting, ineffectual Captain McEnroe (Becker's superior officer) in season 6. Dennis Becker: Rockford's pursuit of cases often leads to difficulties with his friend in the LAPD, Sgt. Dennis Becker (Joe Santos), a homicide detective struggling to advance in the department under a series of overbearing lieutenants. The two most notable are Alex/Thomas Diehl (Tom Atkins) during the first, second and fourth seasons and Doug Chapman (James Luisi) in the third to sixth seasons. Those higher-ups invariably dislike Rockford (and private investigators generally) because of their perception that either he is meddling in open cases or is trying to make the LAPD look incompetent in its handling of closed cases. Further, Rockford often calls Becker asking for favors, such as running license plates through the California Department of Motor Vehicles (DMV) computer system, often annoying the already overworked cop. By the fifth season, Becker is promoted to lieutenant; it was stated in the episode where Becker is promoted that Becker's association with Rockford, considered by LAPD brass to be a shifty ex-con, had hampered Becker's chances for promotion. Chapman intensely dislikes it when Becker becomes his "equal". In season 6 episode The Big Cheese, the third-to-last of the series, Rockford gets a degree of revenge when Chapman inadvertently makes incriminating statements about his tax evasion before an undercover IRS agent who is with Rockford. Becker appears in 89 of the 123 episodes. Joseph "Rocky" Rockford: Rockford's father, Joseph "Rocky" Rockford, is an ex-Seabee, semi-retired, semi-truck driver who nags his son to find stable (and less dangerous) employment, often urging him to follow in his footsteps as a truck driver (especially in early seasons). The relationship of father and son was an integral part of the show. Rocky appears in 101 episodes, and usually becomes involved (like it or not) in his son's cases. Occasionally, he hires Jim himself. Jim Rockford's mother is never shown or named, and is very seldom referred to. Although never directly stated, the way Jim and Rocky talk about her would seem to indicate she had died (before the series' start). Rocky was portrayed by Noah Beery, Jr. (nephew of actor Wallace Beery) except in the 1974 pilot film, where he was portrayed by Robert Donley. Though much of the character's backstory is the same, in the pilot Rocky is portrayed as more of a small-time grifter and operator — at one point, working with a partner, Rocky unsuccessfully tries to run a minor scam on Jim, his own son. This element of Rocky's character would largely be dropped as the series started. Beery's version of Rocky was generally honest and reliable, though not above working an unreported job 'under the table' to supplement his pension income, or eating the most expensive food in Jim's fridge if he dropped by while Jim was out. Angel Martin: Rockford's scheming former San Quentin cellmate, Evelyn "Angel" Martin was something of a comic relief character played by Stuart Margolin. Jim employs Angel as an operative from time to time, often to gather street-level information, or to help him access the files of the newspaper where Angel works as a low-level filing clerk. Keeping this job is a condition of Angel's parole; even so, it's doubtful that the ever-shifty Angel would be capable of doing so, except that his brother-in-law owns the paper. Jim also uses Angel on a few occasions to play a supporting role in the elaborate con games that he sets up to sting especially difficult adversaries. Angel is himself forever running some sort of (usually very bottom-of-the-barrel) con game, and is consistently ready to sell anyone out at a moment's notice for his own benefit — and often does. In doing so, Angel almost always gets Rockford in trouble, usually by involving him in hare-brained scams ... often without Jim's knowledge, and never with his consent. As often as not, Angel's antics result in Angel's, Jim's and/or others' arrests, and/or being placed on somebody's hit list. In spite of this, Jim considers Angel as one of his best, if most exasperating, pals. Towards the very end of the series, there is a noticeable cooling in Jim's attitude toward Angel in their often fractious relationship; however, the rift seems to have been repaired by the time of the reunion movies. Beth Davenport: Rockford has a close relationship with his attorney, the idealistic, tenacious Elizabeth "Beth" Davenport (Gretchen Corbett). In second-season episode "A Portrait of Elizabeth", it is explained that Beth and Rockford had dated for a time (prior to the beginning of the series), but she soon became aware of his emotional unavailability and lack of interest in a longterm relationship, and realized that they'd be better off as friends (although the two do seem to still casually date on occasion during early seasons). Others: After Corbett was dropped from the show following the fourth season (allegedly due to contract disputes between Universal, which owned her contract, and Cherokee Productions, Garner's company), a new legal adviser (John "Coop" Cooper, a disbarred attorney who befriends Jim), and a new romantic interest (Kathryn Harrold as Dr. Megan Dougherty) for Rockford were added. Dougherty was a blind highly independent psychiatrist, who makes three appearances in the fifth and sixth seasons. Rockford has romantic flings with numerous women, but none become permanent. James Garner's real-life brother, Jack Garner, made 23 appearances playing (at various times) a policeman, a gas station attendant, and a stranger in a bathroom. The most regular character Jack played was that of police officer "Captain McEnroe" a number of times in the final season. The show's pilot was written by Cannell, who also wrote 36 episodes and was the show's co-creator. Juanita Bartlett, one of the show's producers and Garner's partner at Cherokee Productions, wrote 34 episodes. She also wrote for Scarecrow and Mrs. King, The Greatest American Hero, and In the Heat of the Night. David Chase wrote 16 episodes; he later went on to Northern Exposure and The Sopranos. The show's co-creator, Roy Huggins, also wrote for the show during the first season, always using pen name John Thomas James. However, Huggins' contributions to the show ended midway through the first season, after he submitted a script rewrite direct to set as the episode was shooting, without getting approval from any other writer or producer. Garner, trying to work with the material on set, felt the rewrite was unsatisfactory, and could not figure out why it had been approved for shooting. When he discovered that neither Cannell nor any of the other production staff members knew anything about the rewrite, Garner issued a directive that Cannell, not Huggins, had final say on all script material. Though Huggins was credited as a producer for the entire run of the series, this effectively ended his creative involvement with the show, as he submitted no further material to The Rockford Files and did not involve himself in the day-to-day running of the series. Frequent directors included William Wiard (23 episodes), Lawrence Doheny (10 episodes), and Ivan Dixon (previously a regular on Hogan's Heroes) (9 episodes). Veteran actor James Coburn directed an episode. Coburn had co-starred with Garner in the classic movies The Great Escape (1963) and The Americanization of Emily (1964). Other actors who directed episodes include Jackie Cooper (3 episodes) Richard Crenna and Dana Elcar (1 episode each). Co-creator Stephen J. Cannell directed several episodes; series regular Stuart Margolin and executive producer Meta Rosenberg each helmed 2; and James Garner directed one episode in the second season, "The Girl in The Bay City Boys' Club". It was Garner's only directing credit in his entire 50+ year film career; in his autobiography, The Garner Files, Garner states he only took on the assignment because the scheduled director was unexpectedly unavailable at the last minute. Familiar to viewers was Jim Rockford's gold Pontiac Firebird Esprit car. One oft-recurring element of the show was the famous "Jim Rockford turn-around" (also known as a J-turn or a "moonshiner's turn" - commonly employed as an evasive driving technique taught to Secret Service). Garner explained the move in his 2011 autobiography The Garner Files: "When you are going straight in reverse about 35 miles an hour, you come off the gas pedal, go hard left, and pull on the emergency brake. That locks the wheels and throws the front end around. Then you release everything, hit the gas, and off you go in the opposite direction." James Garner stated in a Season One DVD interview that he performed this stunt for the duration of the series. The car's license plate was 853 OKG, although the plate in some early episodes displayed the number 835 OKG. Garner writes in his autobiography that he believes that the letters OKG stood for "Oklahoma Garner" but that he does not know the origin of the numbers 853. Starting with the 1974 model year, Rockford would get a new model-year Pontiac Firebird each year throughout the series. The Firebirds used had an identical "copper mist" color with the Esprit's exterior and interior. Although the Firebirds were badged as Esprits, they were actually the higher performance "Formula" model without the twin scoop hood. Garner needed Rockford's car to look like the lower tiered "Esprit" model, a car Rockford could afford, but have the performance necessary for the chase sequences in the show. To achieve this, the show featured Pontiac Firebird Formulas re-badged and re-hooded to look like the "Esprit" model. The "Formula" model was developed to provide the performance of the top level "Trans Am" in a less ostentatious form. Formulas didn't have the Shaker hood scoop, side vents, graphics or lettering used on the Trans Am, but they had the same higher horsepower engines and drive trains, larger front and rear anti-roll bars, stiffer springs and shocks, and a twin scoop hood. (Sharp-eyed car connoisseurs can spot the twin exhausts and rear anti-roll bar on the cars used on the show, options that were not part of the "Esprit" package, as well as spot the different model year cars used in various chase scenes that differed from those in an actual episode, especially in later seasons). Although the series ran until early 1980, no Firebird was used past the 1978 model year as Garner reportedly was displeased with the restyled front end of the 1979 and later Firebird models and as such did not wish them featured on the show (although an answering machine message in one episode in the final season indicated his car was 1979 Firebird). Joseph "Rocky" Rockford drove a GMC Sierra Classic pickup truck throughout the series. The truck had a 400-cubic-inch engine, Turbo 400 automatic transmission, and a 4-wheel drive factory setup. The custom exterior paint was silver with maroon panels and orange pinstriping. Additionally, the truck sported various after-market accessories added by noted California customizer and off-road racer, Vic Hickey, including the winch, brush guard, hubcap covers, sidestep bed plates, auxiliary gas tanks, custom steering wheel, rear roll bar, Cibié headlamps mounted on the front bumper/rear roll bar, and Pace CB radio. Beth Davenport drove a yellow 1973 Porsche 914 in Season 1, before switching to a orange 1975 model in Season 2 (though in episode 202, "The Farnsworth Stratagem" she drove a 1972 Audi 100 C1) and using it through the first half of Season 3, last appearance in episode 311, "The Trouble With Warren". In Season 3, she switched to a Mercedes-Benz 450SL. The show's theme song entitled "The Rockford Files" was written by noted theme music composers, Mike Post and Pete Carpenter. It appears at the opening and ending of each episode with different arrangements. Throughout the show's tenure, the theme song went through numerous evolutions with later versions containing a distinct electric guitar-based bridge section played by session guitarist Dan Ferguson. The theme song was released as a single and spent two weeks at No. 10 on the Billboard Hot 100, in August 1975. The B-side track (or "flip-side") titled "Dixie Lullabye" was also composed by Post and Carpenter. The single remained on the chart for 16 weeks and won a 1975 Grammy Award for Best Instrumental Arrangement. The messages were usually unrelated to the episodes. They were a humorous device that invited the viewer to return to the quirky, down-on-his-luck world of Jim Rockford. The messages usually had to do with creditors, deadbeat clients, or were just oddball vignettes. Though a distinctive and clever entry device, the messages became difficult for the writers to create. Suggestions from staffers and crew were welcome and often used. In total, 122 different messages were created through the run of the original six series. The eight CBS TV movies (also referred to as season 8) feature a unique message. However episodes syndicated as James Rockford, Private Investigator use the same message; it was taken from episode 507, "A Three-Day Affair with a Thirty-Day Escrow". Each message is a standalone gag that often provides a small amount of biographical detail about Rockford, the people he knows and the activities that occur in his life as a Private Investigator. Only extremely rarely (such as in episode No. 209, "Chicken Little is a Little Chicken", during which Rockford house- and cat-sits for an absent Beth) is the content of the answering machine message in any way connected to the plot or situations of the episode itself. In "Guilt" although not connected to the plot it does get referenced during the opening scene. The recorded message is Angel giving a racing tip and when Jim gets back to the trailer he plays back another message from Angel asking why Jim ignored the tip. The show went into hiatus late in 1979 when Garner was told by his doctors to take time off because of numerous knee injuries and back trouble, as well as an ulcer. He sustained the former conditions largely because of his insistence on performing most of his own stunts, especially those involving fist fights or car chases. Because of his physical pain, Garner eventually opted not to continue with the show some months later, and NBC cancelled the program in mid-season. It was alleged that Rockford had become very expensive to produce, mainly due to the location filming and use of high-end actors as guest stars. According to sources, NBC and Universal claimed the show was generating a deficit of several million dollars, a staggering amount for a nighttime show at the time, although Garner and his production team Cherokee Productions claimed the show turned a profit. Garner told a story to Johnny Carson on The Tonight Show that the studio once paid a carpenter $700 to build a shipping crate for a shoot-out on a boat dock, though there were shipping crates on the dock. The script often called for Garner to damage his car, so the car could be sold, repaired, and repurchased for each episode. In 2006, the show was broadcast for a few months on Superstation WGN. In 2007, the Retro Television Network began broadcasting the program nationwide, as did the digital cable channel Sleuth and Chicago TV station WWME-CA. ION Television has rights to the show and it is slated for future broadcast. In the fall of 2009, the show reappeared in Canada on Deja View. The series was broadcast in the UK on BBC1 and has since been repeated on BBC2 and ITV and also on Granada +Plus, which later became ITV3, although none of these channels repeated the later seasons. In Australia, the series runs Monday - Friday on cable and satellite channel Fox Classics and on 7Mate. The series aired in the United States on the Me-TV digital subchannel network until September 2, 2016, the series was available on Netflix until January 1, 2017, with the first three seasons available on Hulu Plus. The series pilot aired on NBC March 27, 1974, as a 90-minute made-for-television movie. In the pilot, Lindsay Wagner also starred and later made a return appearance. The pilot was titled Backlash of the Hunter for syndication. 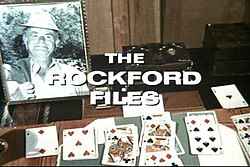 Four written but unproduced Season 6 episodes were referred to in "Thirty Years of the Rockford Files" by Ed Robertson (2005). There is no mention of these episodes being filmed. This would appear to be the source of the unsubstantiated rumor that four filmed but unaired Rockford episodes were destroyed in a fire in 1980. 1974: "Backlash of the Hunter"
1975: "The Four Pound Brick"
1975: "Chicken Little Is a Little Chicken"
1975: "The Girl in the Bay City Boys Club"
1976: "Rattlers' Class of '63"
1976: "So Help Me God"
1976: "Drought at Indianhead River"
1977: "Dirty Money, Black Light"
1977: "There's One in Every Port"
1977: "The Mayor's Committee from Deer Lick Falls"
1977: "The Dog and Pony Show"
1978: "Black Mirror: Part 1"
1978: "Black Mirror: Part 2"
1979: "Never Send a Boy King to Do a Man's Job: Part 1"
1979: "Never Send a Boy King to Do a Man's Job: Part 2"
1979: "The Man Who Saw the Alligators"
1979: "Lions, Tigers, Monkeys and Dogs: Part 1"
1979: "Lions, Tigers, Monkeys and Dogs: Part 2"
Angel Martin was in all the films. 1975: "The Hammer of C Block"
1977: "Just Another Polish Wedding"
1976: "Foul on the First Play"
1978: "The House on Willis Avenue: Part 1"
1978: "The House on Willis Avenue: Part 2"
1978: "Rosendahl and Gilda Stern Are Dead"
The movies picked up nearly 15 years later from where the show ended. In the initial movies, Rocky is referenced as alive, but is off-screen; he dies (within the series continuity) sometime before the third movie. Garner, Santos, and Margolin appear in every movie. Other Rockford regulars who appear in multiple movies include Luisi, Atkins, Corbett, and Jack Garner (as Capt. McEnroe). Recurring players from the series who are brought back for a single return appearance include Rita Moreno (as Rita Kapkovic); Kathryn Harrold (as Megan Daugherty); and Pat Finley (as Peggy Becker). Also added to the cast in small, recurring roles were Gerry Gibson as Critch, the owner of the Sandcastle restaurant across from Jim's trailer; and Shirley Anthony as Sally, a friendly, cheerful grandmotherly type who frequented the precinct to (falsely) confess to crimes, and to knit sweaters while she waited. 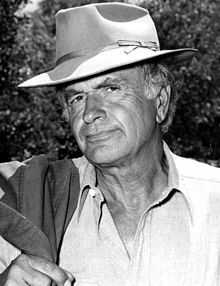 The limited-run series, Richie Brockelman, Private Eye was not technically a spin-off of The Rockford Files, as the character of Richie Brockelman, played by Dennis Dugan, first appeared in a 1976 TV movie produced by Cannell. However, Brockelman did appear in the 1978 Rockford episode "The House on Willis Avenue", which was broadcast the week before Richie Brockelman, Private Eye began its five-week run in The Rockford Files time slot. The character of Richie Brockelman returned to Rockford in the 1979 episode, "Never Send a Boy King To Do a Man's Job." Universal made a back door pilot featuring the characters Gandolph "Gandy" Fitch and Marcus "Gabby" Hayes (played by Isaac Hayes and Lou Gossett, Jr., respectively) titled Gabby & Gandy. The series never came to fruition, but the pilot was broadcast as an episode of Rockford called "Just Another Polish Wedding". A second back door pilot was made for a series that would have featured Greg Antonacci and Gene Davis as Eugene Conigliaro and Mickey Long, two humorously incompetent characters who were introduced in the Rockford episode "The Jersey Bounce" (these same character names are used in both episodes but they are clearly different as both of them and Rockford do not know each other in the second episode, "Just A Coupla Guys"). The series pilot involved them trying to ingratiate their way into the New Jersey mob and aired as the next-to-last episode of The Rockford Files. David Chase, who wrote both episodes, would later create The Sopranos, which centered on the New Jersey mob. Greg Antonacci, who had played Conigliaro, played a role as an underboss of a rival family to the Sopranos. 1974–75 No. 12 Fridays at 9:00 p.m.
1978–79 No. 59 Fridays at 9:00 p.m./Saturdays at 10:00 p.m.
1979–80 No. ?? Fridays at 9:00 p.m./Thursdays at 10:00 p.m.
Universal Studios Home Entertainment has released all six seasons of The Rockford Files on DVD in Region 1. On November 3, 2009, they released The Rockford Files- Movie Collection, Volume 1, featuring the first 4 post-series telefilms. On May 26, 2015, they released The Movie Collection, Volume 2, five and a half years after the release of volume 1. They also released a 34-disc complete series collection on the same day. On April 18, 2016, it was announced that Mill Creek Entertainment had acquired the rights to the series; they subsequently re-released the first two seasons on DVD in Region 1 on July 5, 2016. On June 13, 2017, Mill Creek re-released The Rockford Files: The Complete Series on DVD and also released the complete series on Blu-ray for the first time ever. On June 27, 2017, Mill Creek Entertainment will release The Rockford Files: The Complete Series on Blu-ray in Region 1 for the very first time. In 2009, NBC, Universal Media Studios and Steve Carell's Carousel Television produced a revival of the show. David Shore, creator of House, was hired to head the series. In February 2010, it was announced that Dermot Mulroney was cast as Jim Rockford, Alan Tudyk cast as Det. Dennis Becker, Melissa Sagemiller was cast as Beth Davenport, and Beau Bridges was cast as Rocky. A pilot was filmed but never broadcast. Early audiences indicated that the pilot was not directed well. On May 13, 2010, the Rockford Files remake was canceled by NBC. A feature adaptation was in production by Universal Pictures as of 2012, with Vince Vaughn associated with the project as producer and star. After the death of actor James Garner in 2014, the film adaptation was postponed, but Vaughn is hoping to get the film project made. ^ "TV Guide Names Top 50 Shows". cbsnews.com (Press release). April 26, 2002. ^ Strait, Raymond (1985). James Garner. New York: St. Martin's. p. 295. ISBN 978-0-312-43967-5. ^ "Pilot Yellow Page advertisement". TheSandBox.net. ^ a b "James Garner in the 'Rockford Files' was an irresistible force on our TV screens". Irish Examiner. July 23, 2014. ^ The Rockford Files - Season 5, Episode 5 - "Kill The Messenger"
^ Melanson, Philip H. (2005). The Secret Service: The Hidden History of an Enigmatic Agency. Carroll & Graf Publishers. p. 187. ISBN 978-0-7867-1617-3. ^ Straub, Bill (April 20, 2002). "Agent Bush: President Tries Out Secret Service Driving, Gun Skills". Seattle Post-Intelligencer. ^ "The ROCKFORD FILES Truck". typepad.com. Retrieved August 12, 2017. ^ "Porsche 914 in "The Rockford Files"". IMCDb.org. Retrieved 2018-10-18. ^ "Audi 100 in "The Rockford Files"". IMCDb.org. Retrieved 2018-10-18. ^ "Mercedes-Benz 450 SL in "The Rockford Files"". IMCDb.org. Retrieved 2018-10-18. ^ ""The Rockford Files" 1974 45 single on MGM Records". discogs.com. Retrieved July 16, 2017. ^ "The Rockford Files DVD news: Announcement for The Rockford Files - Movie Collection, Volume 1". TVShowsOnDVD.com. 2007-05-25. Archived from the original on 2009-08-16. Retrieved 2009-08-19. ^ "NBC rewinds 'Rockford' - Entertainment News, TV News, Media". Variety. 2009-07-29. Retrieved 2009-08-19. ^ "Pilot Intel: Dermot Mulroney to headline NBC's 'Rockford Files' update". EW.com. Archived from the original on 2010-03-02. ^ "[Televisionary]: Channel Surfing: Heigl to Leave "Grey's Anatomy," "Skins" Refreshes Cast Again, Tudyk Gets "Rockford" Gig, "Doctor Who" May Get Wii Game, and More". televisionaryblog.com. ^ "Entertainment News, Celebrity Interviews and Pop Culture", ABC News (2010-11-26). Retrieved on 2012-04-24. ^ Josef Adalian (12 May 2010). "What Went Wrong With the Rockford Files Reboot -- Vulture". Vulture. ^ Fleming Jr., Mike. "Universal Develops 'The Rockford Files' For Vince Vaughn To Play James Garner Role". Deadline Hollywood. Retrieved 12 October 2015. Wikimedia Commons has media related to The Rockford Files. Robertson, Ed. (2005). Thirty Years of "The Rockford Files": An Inside Look at America's Greatest Detective Series. Lincoln, NE: ASJA Press. 497 pages. (Lists all of the answering machine gags). The Sandbox.net featuring messages from Rockford's answering machine - Accessed December 8, 2007.